.Hello Lovelies… Hope you all had a great diwali. Today am back with another article but this time it is not a review or a DIY. Today I came up with a beginners makeup kit article. You must have seen many affordable beginners makeup kit in you tube and in many other blog. I thought to share few products for viewers who are beginners, looking for a guide to choose make up products correctly. So read on more to see the product recommendations. When we say beginners makeup kit, affordable products comes to our mind. Since affordable products gives you the freedom to practice without thinking much.If you buy expensive products, you will end up wasting the product by practicing. So it is advised to buy affordable products as a beginner. Read my tips before choosing products since I have made bunch of mistakes while choosing products as a beginner. So i can help you in avoiding such mistakes. Garnier BB cream. (suits dusky skin well). Next, Eyeliner is important part of our makeup.It makes our eyes to look pretty with a single streak of line. Beginners most of the time stick to good old black eyeliner, so i list out beginner friendly eyeliners. Kajals always take a place in every girls vanity. Most of the girls out there have their own favourite kajals before they start using compacts and bb creams, but i just list down few kajals that is loved my most of the girls. For lips, you can start with tinted lib balm and move to lip colours. So these are my recommendations for you if you are planning to build your vanity. I haven’t included concealer, highlighter, contour and even blush in this article. I will share it in next part. 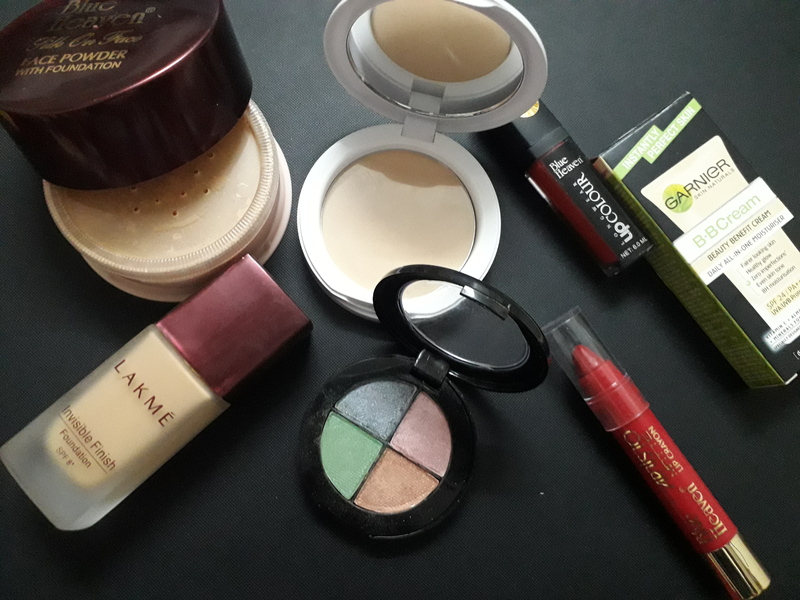 since if you are good at blending then you can easily work with concealers, blush , etc….